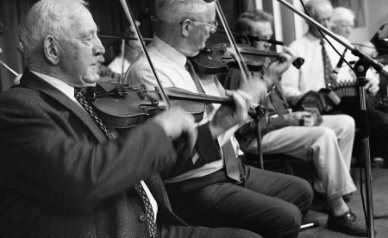 Live recordings of Irish traditional music sessions from 1962 to 1997 featuring Paddy Canny, Bobby Casey, Willie Clancy, Martin 'Junior' Crehan, Elizabeth (Mrs) Crotty, Michael Downes, Martin Hayes, P Joe Hayes, John Kelly, Patrick Kelly, Paddy Killourhy, Séamus MacMathuna, Peadar O'Loughlin, Seán Reid, Micho Russell and more. 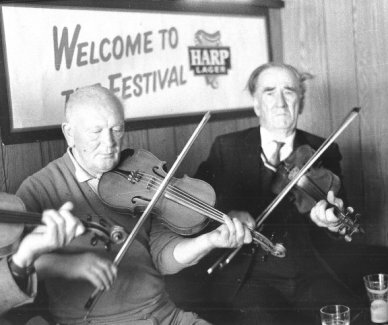 Sessions were recorded in O'Connor's Bar, Doolin; Katty's Bar, Mullagh; Brian Hogan's Bar, Ennis; Seán Reid’s home, Ennis; P Joe Hayes' home, Feakle; Martin 'Junior' Crehan's home, Mullagh; Michael Downes' home, Mullagh; Paddy Joe Clancy's home, Bradford; St. Joseph’s Residential Home, Ennis; Gleeson’s Bar, Coore; Martin Rochford's home, Bodyke; Patrick Kelly's home, Cree; Tulla; Eagle Tavern, New York; Pepper’s Bar, Feakle; Community Centre, Miltown Malbay and in Patsy O’Connor’s Bar, Annageeragh. 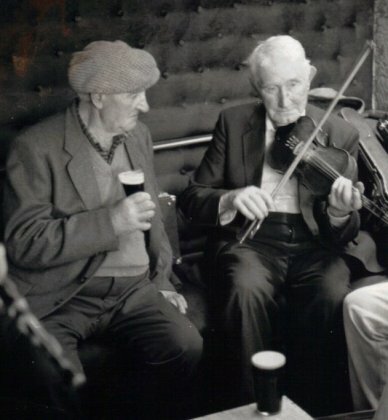 Clare County Library is grateful to Barry Taylor for donating material from his extensive collection of audio recordings of traditional music sessions in County Clare. We are also grateful to Peter Laban and Pat Mackenzie for allowing us to use photographs from their collections, and to Mary Custy and Paddy Comber for their help in identifying tunes. Bobby Casey & Michael Downes, 1990. Photo © Peter Laban. Martin Rochford & Martin 'Junior' Crehan, c.1990. Photo © Peter Laban. Paddy Canny, Peter O'Loughlin, Tommy McCarthy & Chris Droney, 1998. Photo Peter Laban.